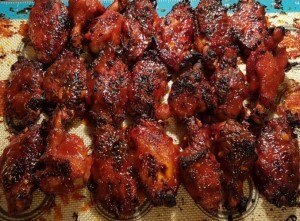 Pressure Cooker Honey Bourbon Chicken Wings (or Thighs or Legs) are super easy and awfully delicious and can be on your table in about 30 minutes. We love Hot Wings in this house. It’s been a Friday night tradition here for years. Last week, we decided to try something different, something sweet and it was fantastic! Even better is that the wings were cooked in our Pressure Cooker and finished in the Air Fryer! 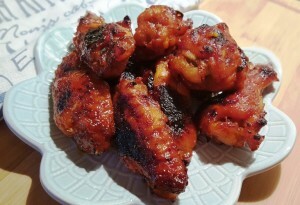 Five minutes after pressure was reached, I had cooked wings, but not crispy skin, like I love. If the skin is not crispy this girl is not eating. The solution is to carefully remove the wings with tongs and place them in the Air Fryer. Alternatively, you can put them on a 1/2 Cookie Sheet with aReusable Silicone Baking Mat and crisp them up in the oven. Using Silicone Coated Tongs, carefully place the wings into the Air Fryer. 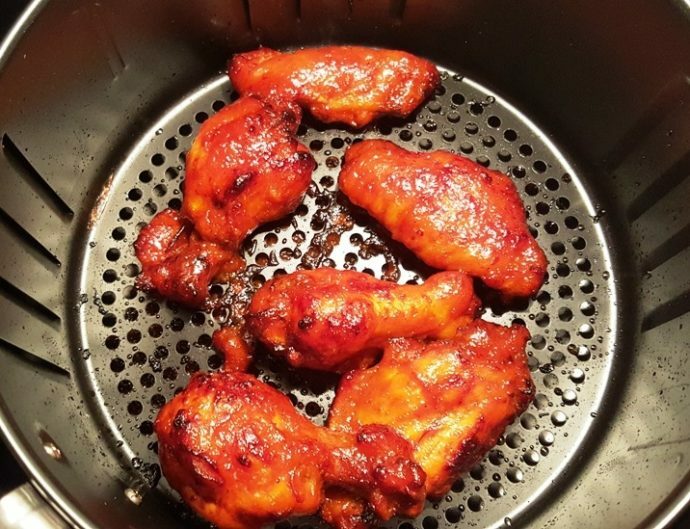 I adore this Air Fryer because you don’t have to preheat it and your wings will crisp on both sides evenly! Not all Air Fryer are created equal. My picks are the GoWise Air Fryer, which is very reasonable priced and the Phillips Air Fryer, which is about $100 more. Some of the other Air Fryers I have tried, did not impress me, as they required preheating and lots of shaking and flipping of the food. While the wings are crisping in the Air Fryer, have the sauce thickening in the Pressure Cooker . When the sauce becomes thick, dunk the wings into the sauce and then placed them back into the Air Fryer. Place a Reusable Silicone Baking Mat onto your Cookie Sheet. Place the Pressure Cooker Honey Bourbon Chicken Wings on the Cookie Sheet sheet in a single level. Crisp them up a bit, while you are tending to your Sauce in the Pressure Cooker. While the wings are crisping up in the oven, thicken the sauce in the Pressure Cooker . When the sauce becomes thick, Brush some sauce on the wings and placed them back under the broiler, for about 5 minutes on each side. The sauce will caramelize on the wings nicely. Add as much Sauce as you like. 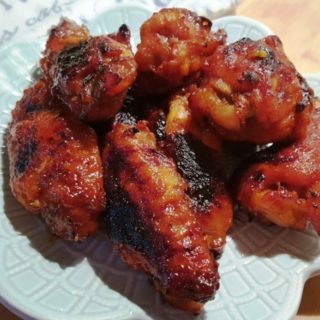 If you like this recipe, you might want to try my Asian Sticky Chicken Wings, Honey Garlic Chicken Wings, or my Buffalo Hot Wings. 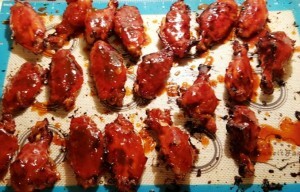 Wowza, delicious Pressure Cooker Honey Bourbon Chicken Wings from start to finish in 30 minutes. The hubs was happy. 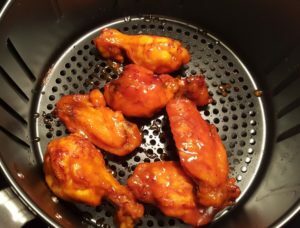 Another incredible wing recipe to try is my Air Fryer Crispy Honey Garlic Chicken Wings. 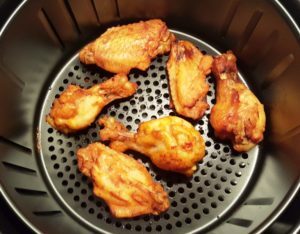 The Air Fryer gets them super crunchy and crispy because of my secret ingredient and method. Stir until sauce starts to thicken, about five minutes. Add the water and the rest of the ingredients. Carefully add the wings and mix into the sauce. Lock on the lid and Close the Pressure Valve. Cook on High Pressure for 5 minutes. With Tongs, carefully remove Wings to Air Fryer Basket or a Cookie Sheet, lined with foil or silicone mat. Turn the Pressure Cooker to Sauté or Browning and allow sauce to thicken while the wings are crisping in the Air Fryer or Oven. Place basket of wings into air fryer and set temperature to 400 degrees Fahrenheit for 6 minutes. When Beep is heard, remove the basket from the air fryer and dunk wings into the thickened sauce. 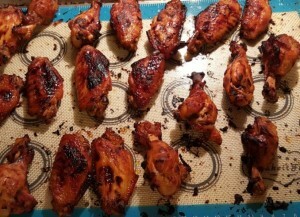 Place wings in the oven and broil for five minutes on each side. 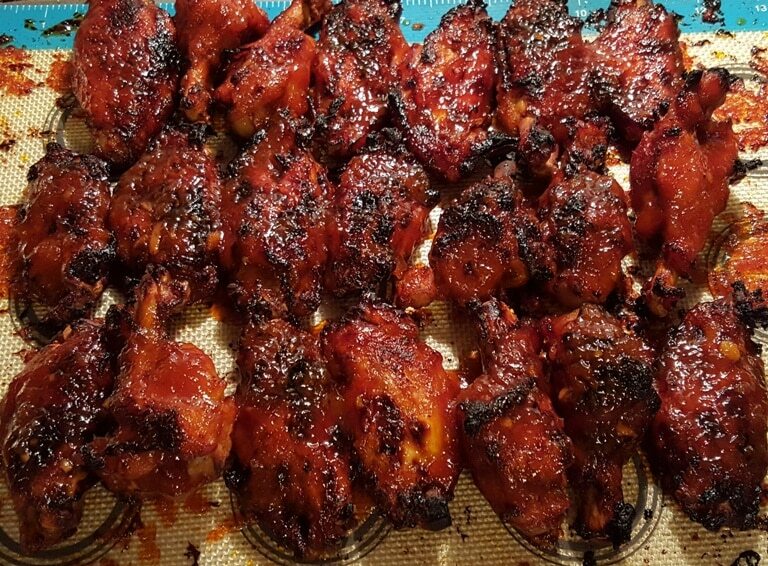 Remove wings from the oven and slather on the Honey Bourbon BBQ sauce. If you don't feel like making a homemade Barbecue sauce, use a bottle of your favorite Barbecue Sauce instead. 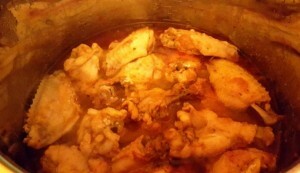 Add a cup of water to your Pressure Cooker cooking pot and place in a steamer basket full of wings. Cook for 5 minutes, then transfer to the Air Fryer and cook according to Air Fryer Directions, slathering with bottled BBQ Sauce, instead of the Honey Bourbon Sauce. PIN this Pressure Cooker Honey Bourbon Chicken Wings (or Thighs or Legs)! Trying this tonite with thighs. Any change in procedure or time when using thighs instead of wings? These are spot on. Don’t change a thing. I am so glad you enjoyed these chicken wings. Thank you so much for your nice comment. Wow! My husband absolutely loved these. I made them with drumsticks (all we had) and had to use a cherry whiskey (no bourbon in the house) and it really was fantastic. I should have read your post all the way through, as I used the broiler instead of my air fryer- agree the fryer would crisp it up nicer. I guess I will just have to make another batch for the fryer now! Sticky, sweet, and all around lovely recipe! Thank you so much for the lovely compliments. I am thrilled you and your husband enjoyed the chicken legs. I bet cherry whiskey gave them a nice flavor. All we have is apple whiskey…wonder if that would work??? I ended up using the apple whiskey…and they were wonderful! Lost my book on how to cook wings could you please help me out with is pls. Glad to help. All instructions are in the recipe, right above where you added this comment. Can’t wait to try. Was debating on which boutbon/whiskey I wanted to use. Usually Honey Jack is my go to. My question is can you use frozen wings of do they need to be fried? 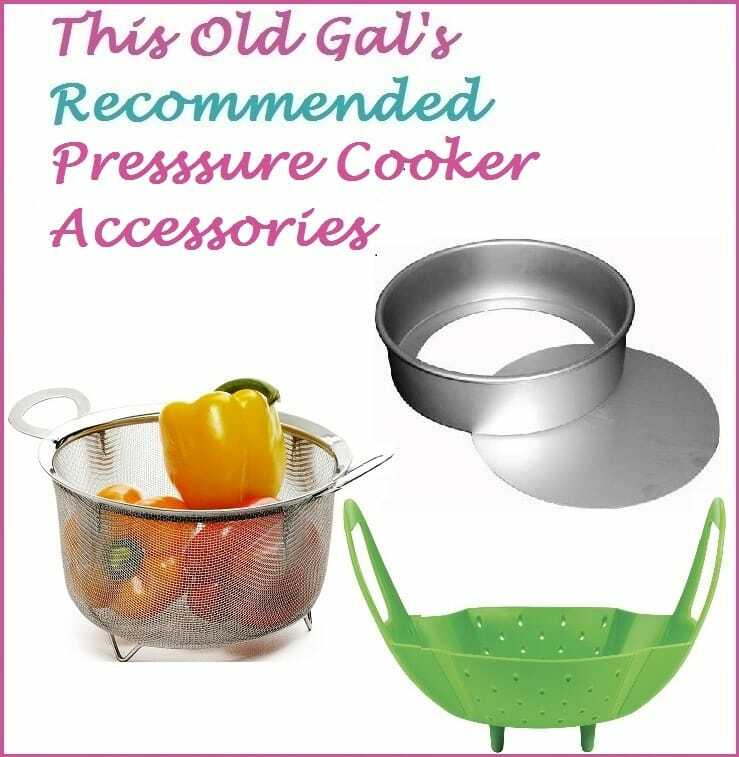 Love your site as I am a newbie at pressure cooker but have used it almost everyday. You certainly can use frozen wings. However, with chicken, I always prefer to defrost first. I’m just seeing this recipe and it looks great. I would have to use the oven method because I gave my older air fryer when I moved…the directions I’ve read on silicone mats was to never cook food on them under a broiler. Have you seen any problems doing that? Is there any concern with the basting sauce being in the pot with raw chicken and then being used with the cooked chicken? If I want to use thighs do I still use 4 to 5 pounds or less?